We have personality. For you. We love the extraordinary because we are unique ourselves. 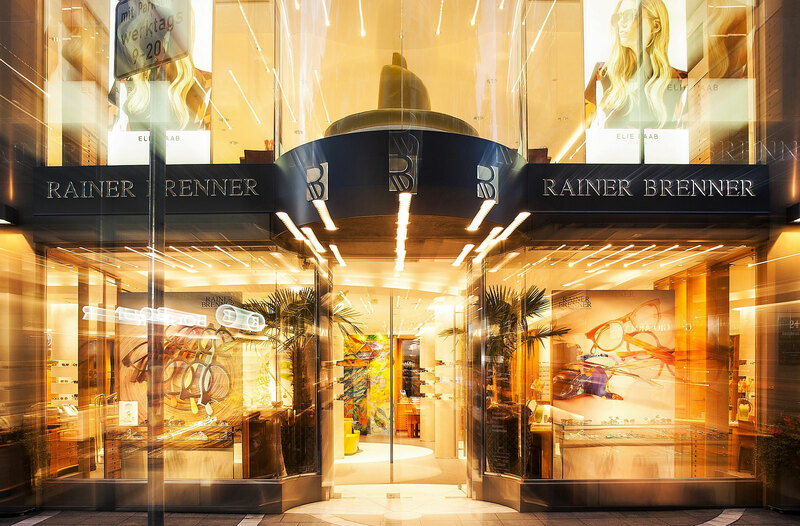 Rainer Brenner is a family business in the best sense as it is led by two generations of one family. Add to this the many excellent members of staff that have expanded the “Rainer Brenner Family” in the last decades. For the various areas of expertise, we have well-educated specialists that have a passion for their respective fields. Glass, materials, design … Common to all is the endeavour to ensure the satisfaction of our customers. We even have an ophthalmologist coming to our house regularly. Together, we are Rainer Brenner and we share a passion. We are enthusiastic about fine glasses and see it as our task to find the best model for every customer – both aesthetically as well for your visual experience. Therefore, we are constantly looking for unique models. What is more, we offer a great range of our own brands that fulfil these requirements. Come visit us and experience Rainer Brenner at Goethestraße 24, a place for being comfortable that bears our signature like no other.